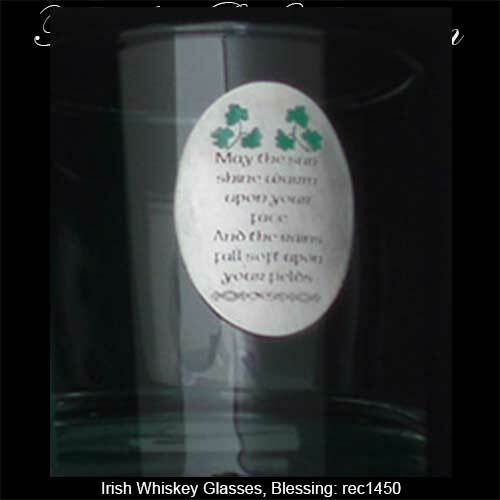 This Irish blessing plate features embossed Celtic knots-work. 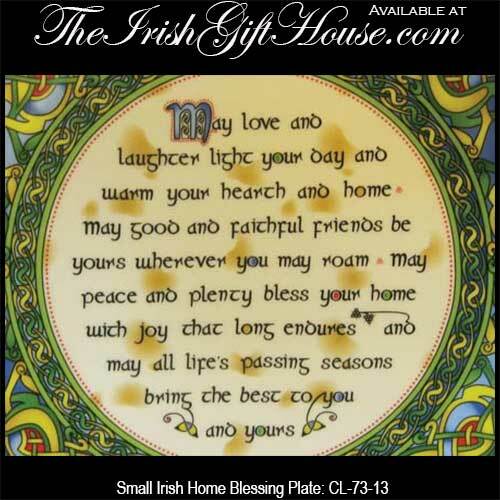 This Irish plate with Celtic knots has a special sentiment for blessings. 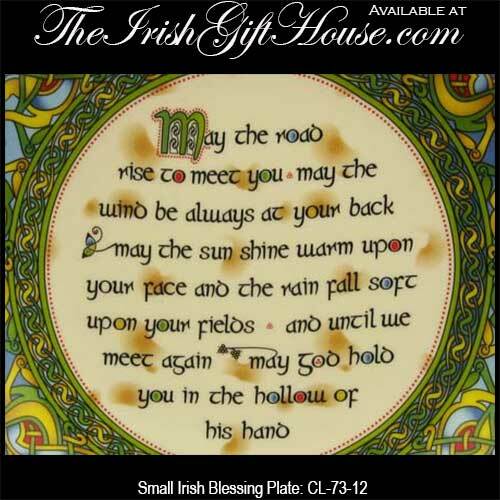 Sorry, this Irish blessing plate is now sold out. 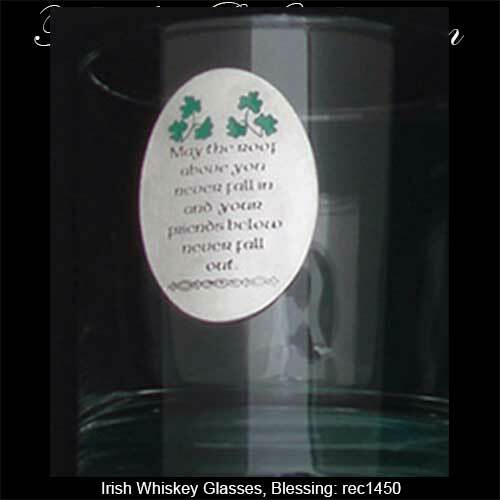 This Irish blessing plate with Celtic knots has a special sentiment for happiness. 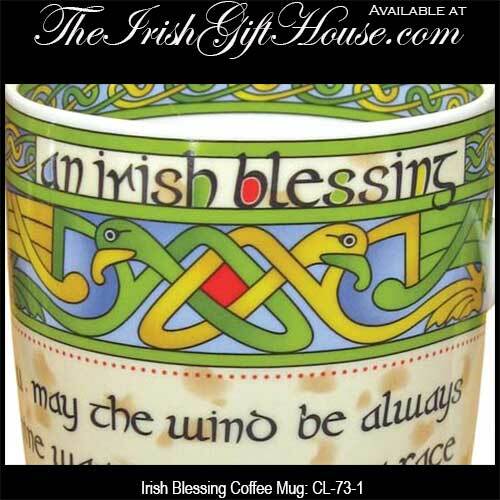 This Irish coffee mug with Celtic knots features the traditional Irish blessing. 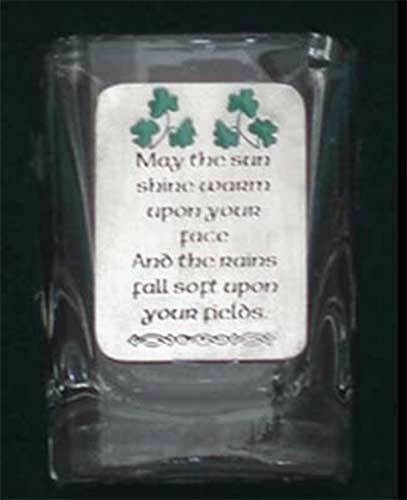 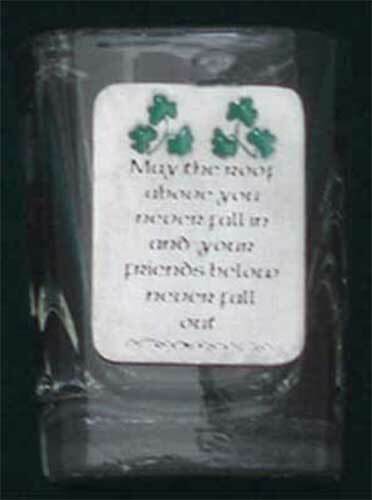 Irish ornament is a mini plate with a blessing for the home. 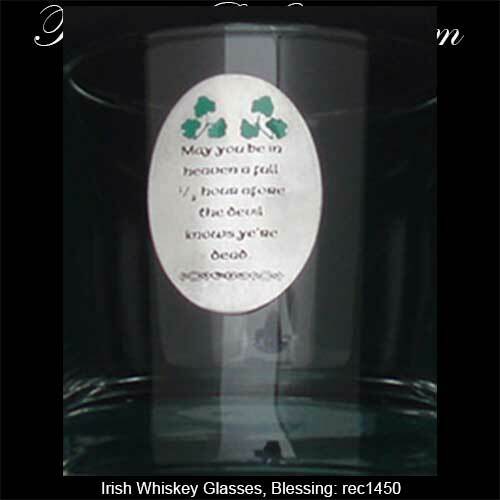 Irish blessing plate is a mini design that could also be hung as a Christmas ornament. Irish shot glasses features pewter emblems with four different Irish blessings along with shamrocks. 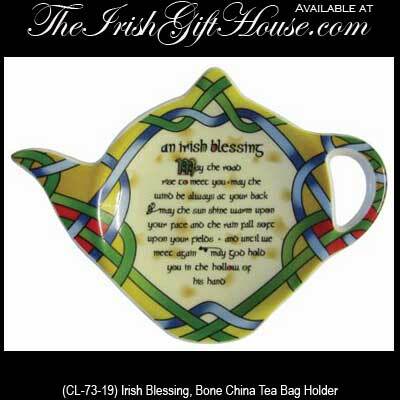 This bone china teapot shape Irish tea bag holder features the Irish blessing along with Celtic knots. 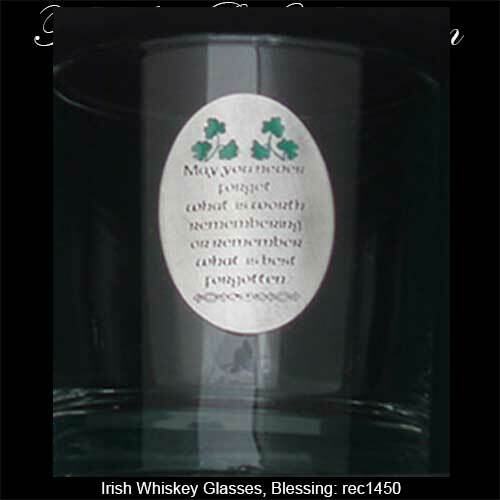 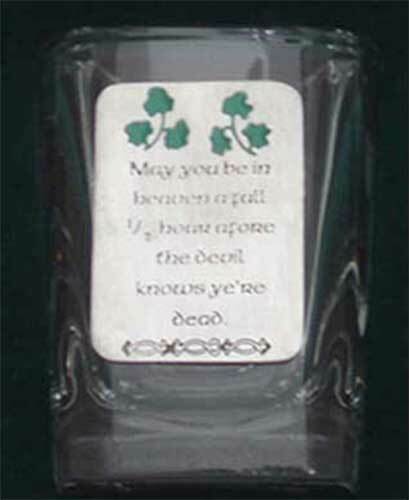 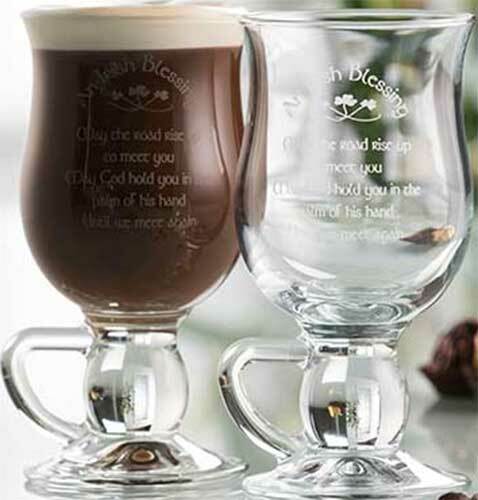 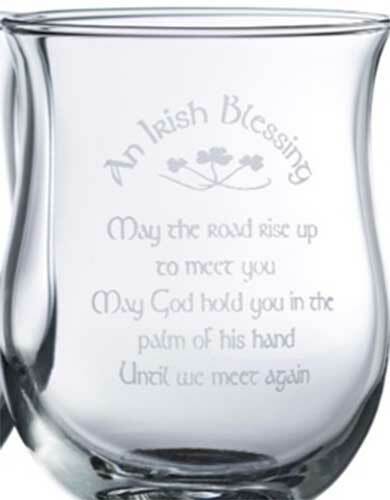 Irish coffee glasses feature the Irish blessing along with shamrocks etched on this crystal pair.